Celebrating the season, Patricia Alton hosted a workshop, “Connecting with the Angels at Christmas” Dec. 6 in Cassadaga. While the ethereal heralds are a holiday staple, all the year through Ms. Alton is an Angel Therapy Pracitioner. The term is ingriguing, suggesting equal parts scientific and divine. Angel Therapy Practioners have completed the spiritual counseling program facilitated by Doreen Virtue, PhD., who has authored more than 70 widely sold books. Ms. Alton also achieved Advanced Angel Practitioner and Spiritual Teacher Certification with Doreen Virtue’s son, Charles Virtue. For the past five years she has been engaged in metaphysical work in Florida, and across the U.S. 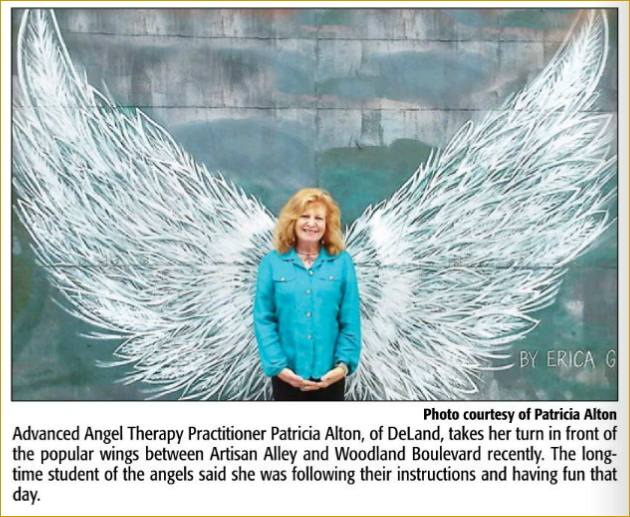 In Volusia County she has conducted Angel Workshops at Funky Treasures in DeLand, Daytona Metaphysical Bookstore in Daytona Beach and at the Healing Zone and Pranic Healing Center, both in New Smyrna Beach. This was her first workshop in Cassadaga. “Everybody said they loved it and will spread the word,” Ms. Alton said, pleased yet not surprised. 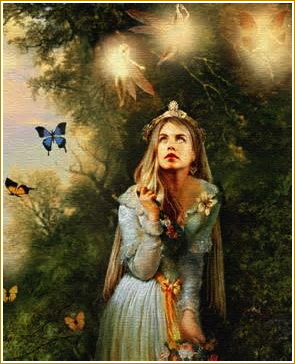 When one has been channeling archangels since childhood, has given hundreds of angel reading to well-satisfied and returning clients statewide and nationally, one expects things to turn out OK. Typically, her worskhops draw more than two dozen students seeking divine guidance. Ms. Alton also has participated in psychic fairs in and around West Palm Beach, Jensen Beach adn Stuart as well as in Gala Days in Cassadaga. She has been one of the psychic readers for the national company Accurate Leslee of psychicleslee.com, has worked with internationally known psychic, Countess Nadia Starella and has been a featured guest on Joanne Augusto of Nutrition World’s Radio Show on WPSL in Port St. Lucie. The newly ordained — through Venus Rising Association — shamanic minister is available for “angelic custom created wedding ceremonies and funeral services” as well. Using metaphysical senses such as clair cognizance, clairaudience, clarivoyance, and clairsentience, Ms. Alton said she is able to channel messages from the heavenly beings to assist clients with life issues. “I channel the archangels to give you divinely guided messages regarding your life purpose, career, health, finances, romance and relationships, and I can connect with your loved ones on the other side through angelic mediumship,” she said. As an “angel healer”, she specializes in past-life regressions and spiritual life coaching. Through her workshops and private sessions, Ms. Alton conveys — via special invitation — that awareness to others. The Rev. Janie Owens, pastor of Cassadaga’s Colby Memorial Temple has decades worth of divine experience. Her feet are firmly planted on the ground, but she travels lightly, surrounded by grace. A practical individual, she has no trouble spotting manufactured miracles. She easily recognize is the true ones. “I think she’s the real deal,” she said, without hesitation, of Ms. Alton.